Bumper crop of DVD releases today in North America. 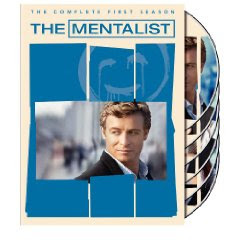 For TV fans, season releases of 'The Mentalist' (season 1), '30 Rock' (season 3), and 'Ugly Betty' (season 3) are all out today. And so is 'The Ghost Whisperer' ...but the least said about that and its super silly dead husband storyline, the better! Oh, Wallace and Gromit were fabulous over Christmas. This one was probably the best one yet according to some people, but I think they have some way to go before they beat 'A Close Shave' and 'The Wrong Trousers'. They're my favourite W&G outings. Doesn't matter though, I'm sure come UK awards season, they'll walk away with everything in sight.